The Godfather of Attribution was the incredibly wealthy 19thC retailer John Wanamaker. 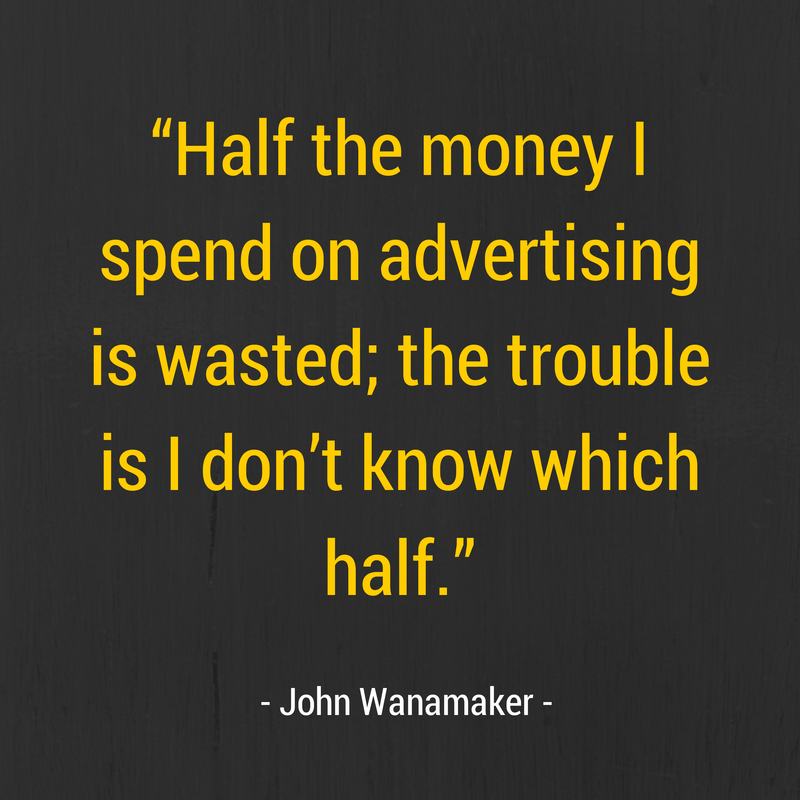 "Half the money I spend on advertising is wasted; the trouble is I don’t know which half." Or, it might have been William Lever. He also has been credited with precisely the same quote! Which means that we’re not really that sure who the Godfather of Attribution was. Which is a shame, because it’s great when you can accurately pinpoint the source of something. Particularly when you are talking about Attribution! Regardless of who was responsible for this quote the fact remains that both Wanamaker and Lever became extremely wealthy - and Advertising was a critical element of their immense success. They ran businesses that were reliant upon Advertising. Wanamaker was the first retailer to place adverts in the newspapers. Interestingly he initially wrote his own ad copy, but later hired a full-time copywriter called John Emory Powers. During the time that Powers worked for Wanamaker the company’s revenues doubled from $4 million to $8 million. Why did we never hear of a Wanamaker quote along the lines of “When I employed a professional copywriter my revenues doubled”. For this was equally true - but possibly more important. And this was something he could measure! Wanamaker did not like Powers much and eventually fired him in 1896. Shortly after, and working as a freelance, Powers was earning over $100 a day as a copywriter - a figure that many businesses would still baulk at paying for professional copywriting today! Imagine how much more money Wanamaker would have made if he had access to today’s data analysis techniques to resolve his Attribution problem - as well as employing Powers to write brilliant and compelling copy? In the absence of reliable attribution what Wannamaker was left with was the option to use the best Creative - John Emory Powers. Wise companies and good advertisers will know, regardless of Attribution, that the strongest Creative will give you the best possible return. This of course includes the core idea, copy, images, call to action etc. Generate great Creative, get your Distribution right, the customers will follow. Attribution enables you to target more precisely and cost effectively. Without great Creative there’s not a lot to measure. So don’t scrimp on the Creative or place Attribution as more important. The customer journey to your business, product or service will be very difficult to get started unless you get your Creative right in the first place.